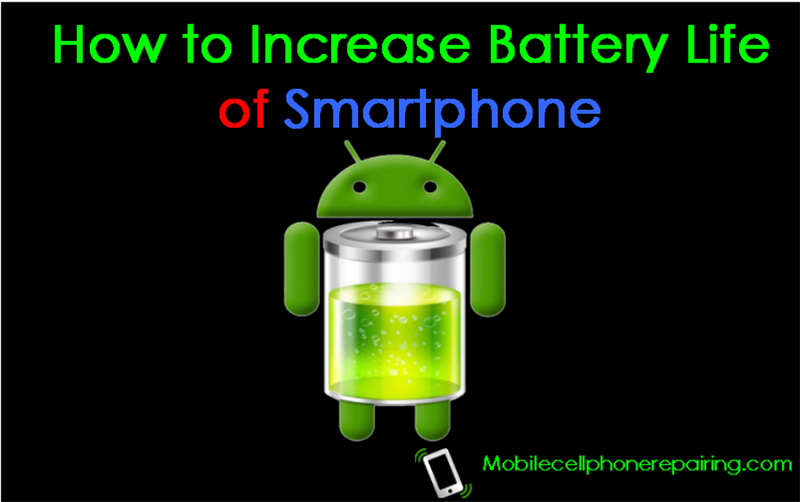 How to Increase Battery Life of Smartphone – Fast battery drain is a common problem with smartphones both Android and iPhone even Samsung and other brands. So, how to increase battery life of smartphone? Let us learn the solution here. Today, smartphone have become a part of our life. Whether it is Android, iPhone or well known brands like Samsung or China Made Smartphone. The craze for smartphones is increasing day by day and when someone needs an iphone x repair we have to find a solution, the main problem with most smartphones is battery life. People are bothered about fast battery drainage. Under such circumstances, it is extremely important to take note of points and practices that can increase and improve battery life of your smartphone. What most people simply do is plug in their smartphone for charging as soon as they reach their office or home. Then they leave their phone on charging for unlimited period of time. This is completely wrong and can damage the battery of your smartphone or decrease its life. Let us now discuss some very useful and simple tips on How to Increase Battery Life of Smartphone. Do not allow your smartphone to overheat: Heat is the enemy of lithium-ion battery. Lithium-ion batteries are used in most present smartphones. In order to prevent your smartphone from getting overheated, you must follow some tips. Never place your smartphone on dashboard of your car. When playing graphically intensive games never charge your smartphone because it increases temperature of your smartphone and harms the battery. The ideal temperature to charge your smartphone battery is between 20 to 30 degree Celsius. Do not use your smartphone while charging: Using your phone while charging is harmful to you and the battery of your smartphone. Even slightest use of the phone while charging stops complete charging cycle of the battery and can even damage the battery. Never use duplicate charger: Always use original charger only. This practice becomes even more important if your phone supports quick charging. According to experts, high capacity chargers can charge up to 70% more quickly but it can also damage the battery if charging is not done properly by using duplicate chargers. Good quality original chargers help to maintain life of the battery. So, never use any third party chargers or low cost inferior chargers. When to charge your smartphone: When you buy a new smartphone, it is not necessary to charge it full before use. Most new smartphones come with fully charged battery. Just start using your smartphone. At the same time, it is not necessary to charge your smartphone 100%. It can be 85% or 90% or 95%. At the same time, never allow the battery to drain to zero. Put your smartphone to charge when the battery level reaches 10%. This will help the battery to last long. Never leave your smartphone on charging overnight: This mistake is done by most people around the world. This damages the battery and it will not last too long. When the voltage of the battery reaches its desired capacity, it automatically stops charging. It is battery to unplug the charger once the battery is fully charged. Always use external SD Card for storage: This will also help to improve and increase life of the battery. Do not download unlimited and useless apps: Download and use only useful apps. Uninstall unwanted and unused apps. Also try to install apps on external SD Card to increase and improve battery life. What is the problem? Check Voltage of the Batteries inside the Power Bank and Replace the Faulty One. I don’t know Tamil. You can convert this website into Tamil with Google Web Translator and Read and Learn. Battery draining is the most common and hectic problem we all are facing with the smartphone. actually, because of the heavy uses, the battery overheats and at last, it drains out. So we must know the causes of this battery issue and also know some solutions to fix it. I can not say it all the knowledge that l have gained theorically on Mobile Cell Phone Repairing through your tips. But l am praying to GOD to be providing for your needs. I am a beginer and l have not got tools and practical knowledge yet. I want to know deepest in the field. Keep reading and practicing. Practice Make a Man Perfect. Am really in need of mobilephone repairing guide book/videos,how can i get?